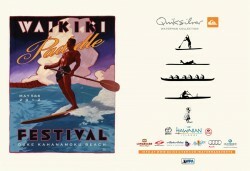 The Waikiki Paddle Festival is a major new Stand Up Paddle event presented by Quiksilver Waterman Collection. 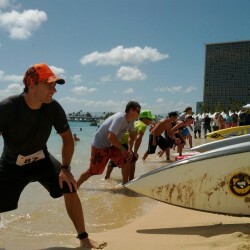 The 2012 event took place the 5th and 6th of May on the beautiful sands of Waikiki. 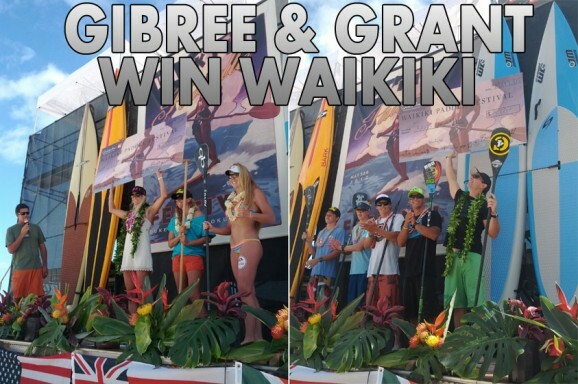 Stay tuned for details of the 2013 Waikiki Paddle Festival and in the meantime check out SUPracer’s recap of the event. It only took me two and a half years, but the SUPracer.com Facebook cover photo has finally been changed. Check out this slow-mo footage of the action @ the Waikiki Paddle Festival, as well as a private Hawaii Kai training run with the Surftech team. Check out what the top stand up paddle pros had to say about the Waikiki Paddle Festival’s Survivor SUP Race on Saturday. Check out a quick interview with C4’s back-t0-back champion of Hawaii, Travis Grant. There’s some great race footage in there as well. Grant took out the Waikiki Paddle Festival Survivor Race on Saturday, winning an all-star final that included Danny Ching, Jamie Mitchell, Connor Baxter, Jake Jensen, Kelly Margetts, Paul Jackson and Slater Trout. Watch the Waikiki Paddle Festival Webcast LIVE & DIRECT from Hawaii. 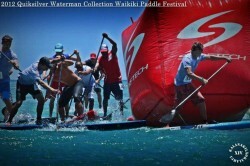 Watch the pros of the Stand Up Paddle racing world preview the big weekend @ the Waikiki Paddle Festival. The Waikiki Paddle Festival has officially hit town. There’s a packed schedule over the next five days, all leading up to the main event – the epic Survivor SUP Race on Saturday. The Quiksilver Waterman Collection’s Waikiki Paddle Festival is just three days away. It’s set to be one of the biggest weekends of Stand Up Paddle racing in 2012, with almost all of the world’s elite SUP racers in town for the event. The whole weekend will be webcast live on Quiksilver.com/watermanevents as well as right here on SUPracer.com. Also make sure you’re following SUPracer on Facebook, so you get all the exclusive race updates, pics, videos and interviews from inside the event. 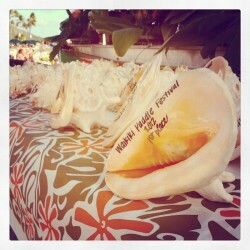 Four days and counting until the Waikiki Paddle Festival. SUPracer is on location in Waikiki and there’s promos for the race all over town. Four days until the big race! The Waikiki Paddle Festival is happening this weekend. SUPracer is in town, are you? The biggest stars from the world of Stand Up Paddle racing will be battling it out on May 5th & 6th at Waikiki. Time to start getting excited: The Quiksilver Waterman Collection’s Waikiki Paddle Festival is just over a week away! SUPracer will be on location, bringing you all the action live from Waikiki, including coverage of the epic new “Survivor” SUP race. 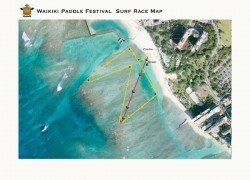 The flights are locked and now SUPracer is heading to the Waikiki Paddle Festival. The Waikiki Paddle Festival is happening May 5th-6th at, you guessed it, Waikiki. It looks set to be one of the biggest stand up paddle races of the year and SUPracer.com will be on location to bring you every minute of the action. 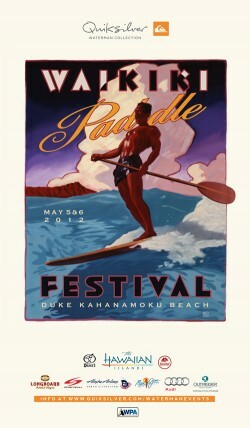 The Waikiki Paddle Festival is only four weeks away, with all the action happening on the 5th & 6th May. The weekend looks set to rival the Battle of the Paddle as one of the real gotta-be-there races of the year. Start looking for some flights to Honolulu in May… registration for the Waikiki Paddle Festival presented by Quiksilver Waterman Collection is now open. All the action is happening on the 5th & 6th of May and the event is shaping up to be one of the biggest and most exciting SUP race weekends the year. The Waikiki Paddle Festival is a major new Stand Up Paddle event presented by Quiksilver Waterman Collection on May 5th & 6th. We announced details of the main event (the “Survivor SUP Race”) here on SUPracer.com last week. It’s going to be a unique new race with a really cool new format, and from the sounds of things, everyone in the paddling community seems pretty stoked about as well. But there’s another race on that weekend that’s going to be just as cool: The Ultimate Waterman Challenge. It will be a two-day event filled with a tonne of races, a tonne of big name paddlers, and a tonne of prize money. Plus the whole thing will be streamed live via webcast around the world. The focus is on Stand Up Paddling, though in the true waterman spirit, there’s also going to be OC-1, OC-6 and Prone Paddleboard races.